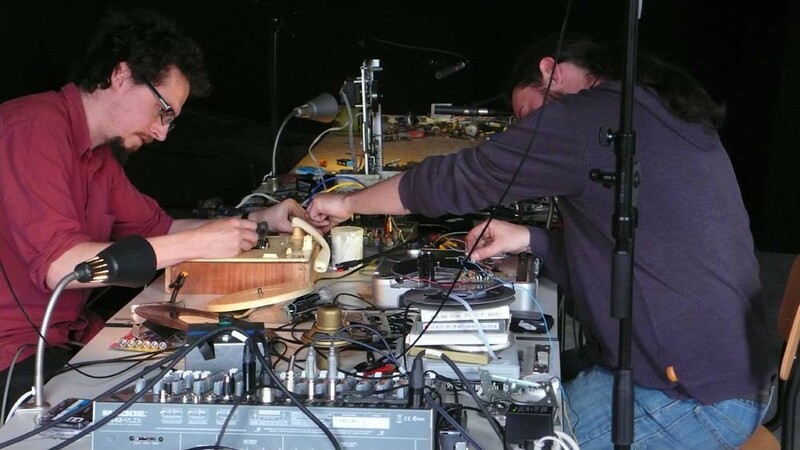 Stephen Cornford & Ben Gwilliam’s collaborative practice involves sound making, improvisation and composition. 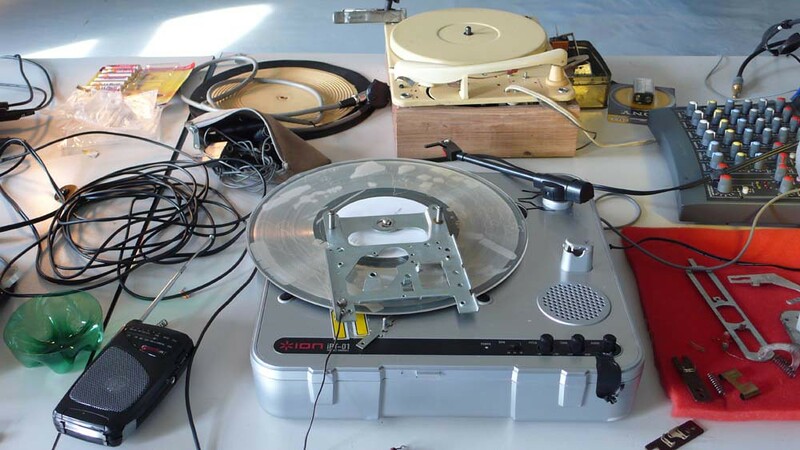 To date they have worked with audio tape and its associated technology, looking at how sound is broken down and defined by its recording and playback. 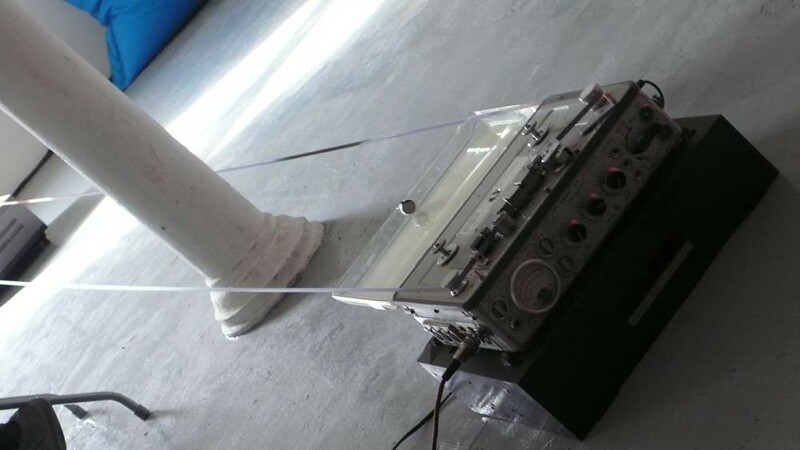 This residency leads on from Recorded (on) Delivery, a recent installation at Modern Art Oxford in February 2012. 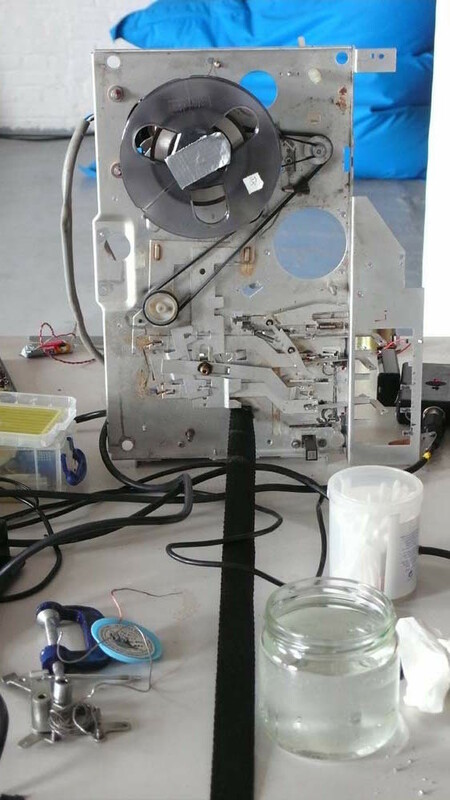 In this work they dismantled separate tape machines and posted the components to one another, each recipient producing a single sounding action with each part. 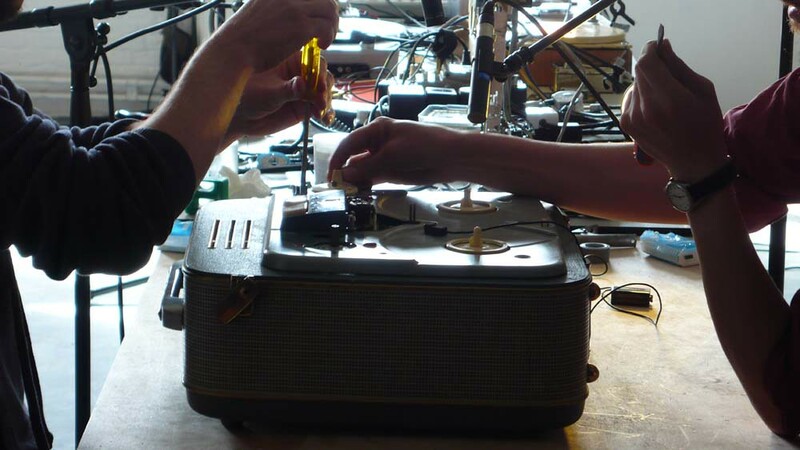 These actions were recorded onto 1/4″ tape. 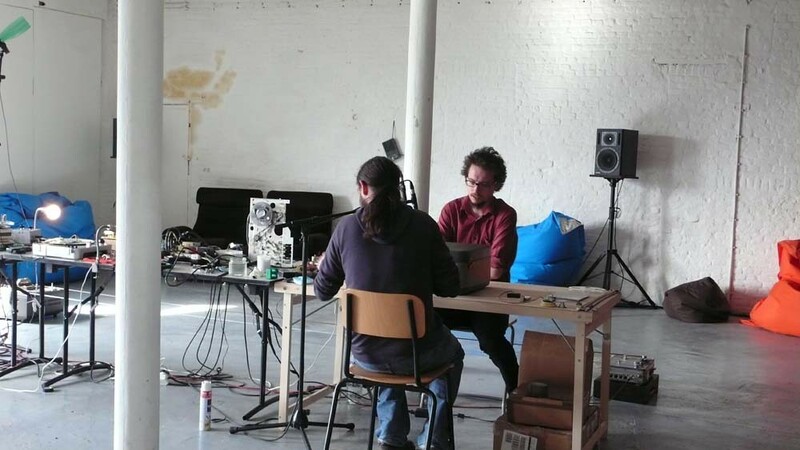 In Brussels Stephen and Ben have developed a new recording project using this methodology. This process of deconstruction has become the work, a form of composition which is governed by the physical components of the machine but also allows for the free interpretation of an object in hand. At Q-O2 they have revisited this process together, starting with a complete machine. Resistors and capacitors have been crushed and used as styluses, speakers have become microphones, metal housing used a radio antennas. 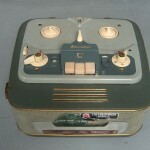 Over the course of this evening we will dismantle a Grundig TK2 tape machine purchased earlier this week at the Marché aux Puce. Individual components extracted from the machine are selected for their acoustic, conductive or physical properties and used in the ensuing performance.